I thought the gravestone with a cross on top was a scary guy in a hat! Great work. This turned out awesome!!! Love the color!!! Love this so much. Beautiful! Very original! 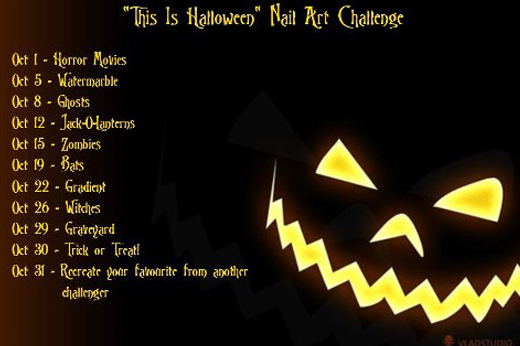 And nice for Halloween! This is beautiful...you did such a fantastic job with the gravestones and trees. Plus the gradient background is stunning. 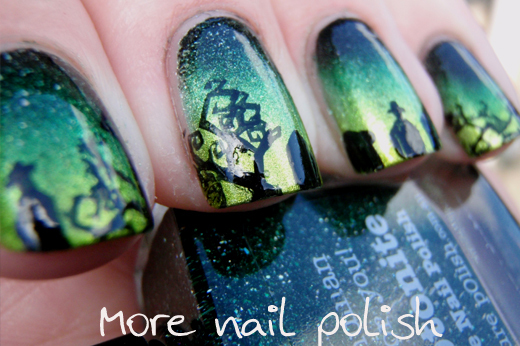 I really want to try that colour combination now! loooooove it! this gradient is really amazing! Beautiful as always, and I really enjoyed the video! 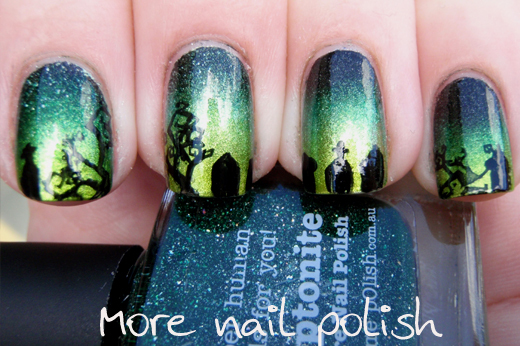 Love this and the gradient looks so easy to do in the video. 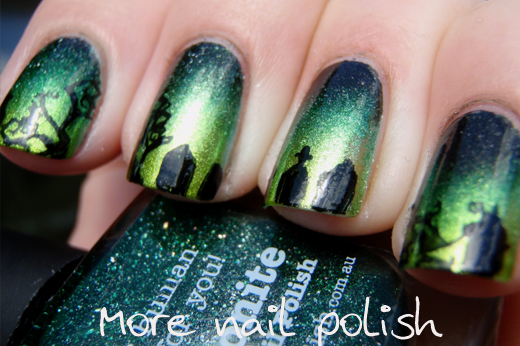 This beautiful and so neat! You make that look so easy, maybe I will give it a try. Thanks for the tutorial! Your manicure is really beautiful. 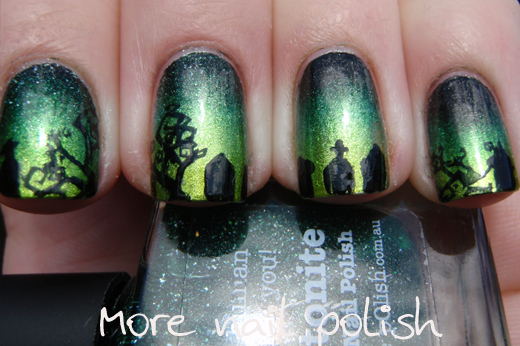 This is one of the best Halloween mani's I've ever seen. Thanks for the video tutorial. It really helps to see where I was going wrong. It's gonna take a bit of practice and a whole lot of cleaning up afterwards, but I'll get there! Thanks again!